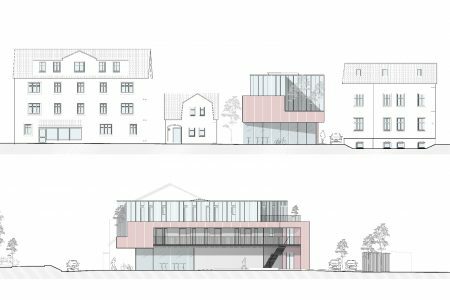 Located amongst yellow-rendered and red clay-tiled buildings in Neubrandenburg, North East Germany is the site for a three-storey pink concrete bicycle shop and residential scheme for which we have just submitted a planning application. 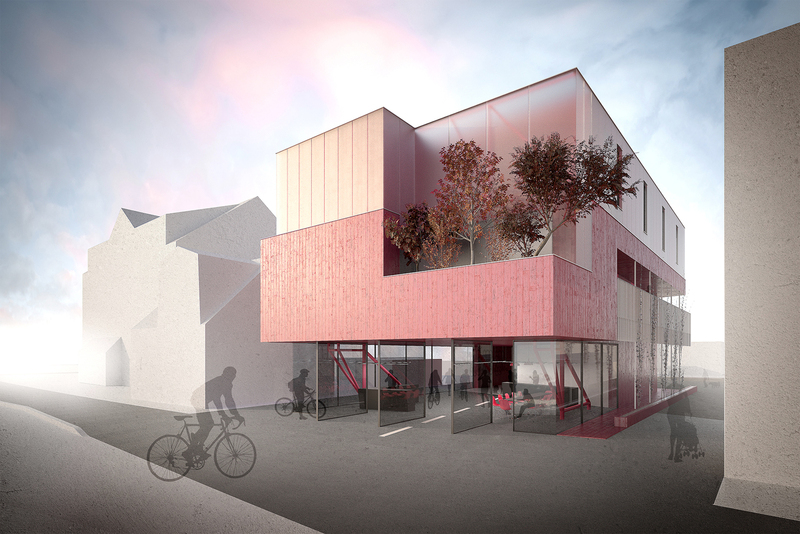 The pink concrete, inspired by a certain brand of bicycle, emerges from the ground to the rear of the proposal and forms a belt that ties glazed ground and upper floors together whilst also providing external spaces within the voids where materials are offset or floor plans do not align. 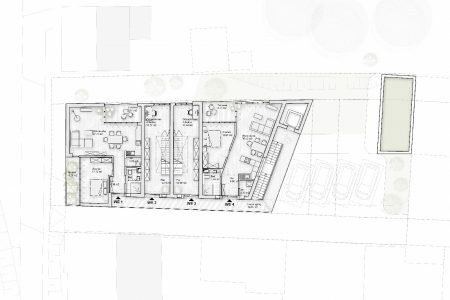 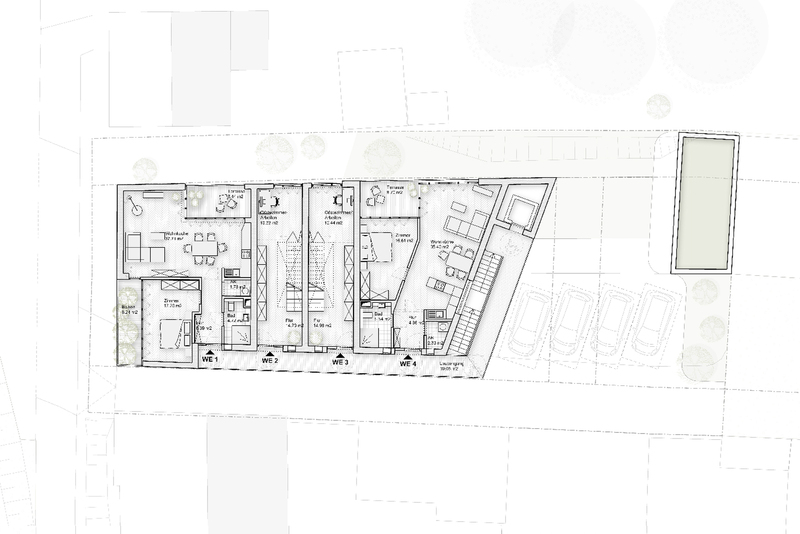 These voids generate external circulation space as well as terraces and planters around which the living areas of 2 one bed apartments and 2 three bed maisonettes are arranged. Detailed discussions with neighbours and the city's planning department were held in 2018 to establish a planning framework and receive comments on the proposal. 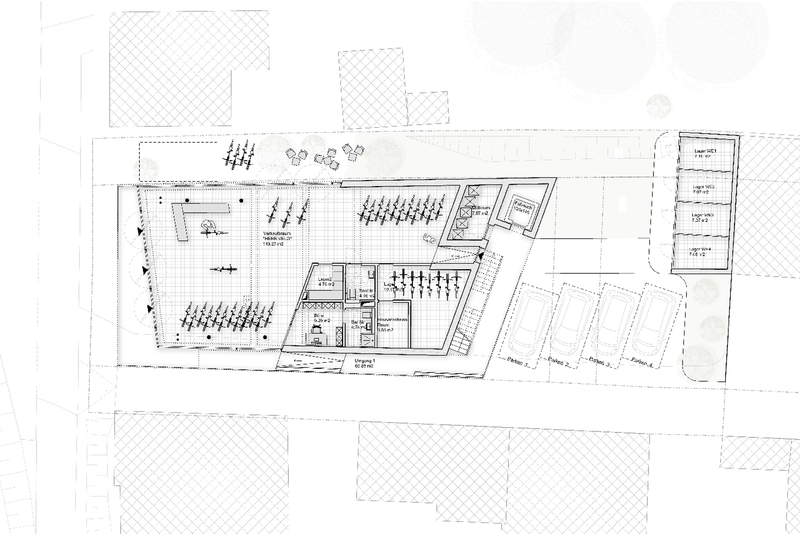 We hope to find out whether our application is successful later this year.